In Part One, I shared songs from my most-loved albums of last year. Part Two features highlights from my favourite singles and EPs released in 2017. Enjoy! Continue reading "2017: a musical odyssey (part two)"
Okay, so it's nearly March, which probably makes this the world's most untimely 'Best of 2017' list! First I'll get to the music, but there's a personal note at the bottom of this post explaining why I'm sometimes much later with posts than I'd like, and why I think they're still worth doing anyway. Continue reading "2017: a musical odyssey (part one)"
When I first heard France Gall's sixties music, my mind was blown. It was everything I loved in pop music, turned up to eleven. A lot of people describe something similar on discovering her for the first time. Gall has clearly meant a lot to so many, her infectious joy reaching beyond any particular time or place. Photo c. 1966. Click to enlarge. Hello all, I've had to have a little break from blogging, so since this is my first post of the year, I want to belatedly wish you all a Happy New Year. Unfortunately, the year had a very sad start with the loss of an artist I hold very dear, France Gall. 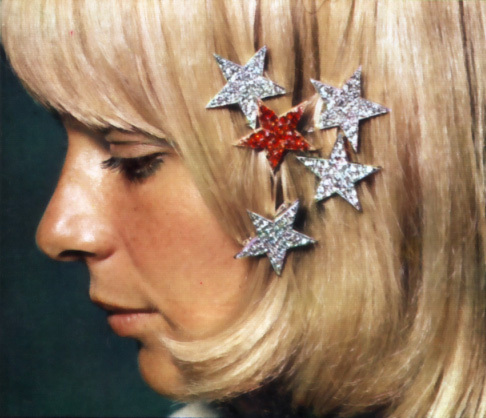 I have some special France Gall-related things to post, coming up soon. For now, I just wanted to share a few words about what France Gall has meant to me – if I can even begin to capture such a thing. When I first heard France Gall's sixties music, my mind was blown. It was everything I loved in pop music, turned up to eleven. A lot of people describe something similar on discovering her for the first time. Gall has clearly meant a lot to so many, her infectious joy reaching beyond any particular time or place. She got to make some of the best, original music in sixties French pop (unlike her contemporaries, she hardly did any cover songs), and there are indeed many to credit for the brilliance of her songs. But there is undeniably something so special and appealing about Gall that made those songs truly amazing.